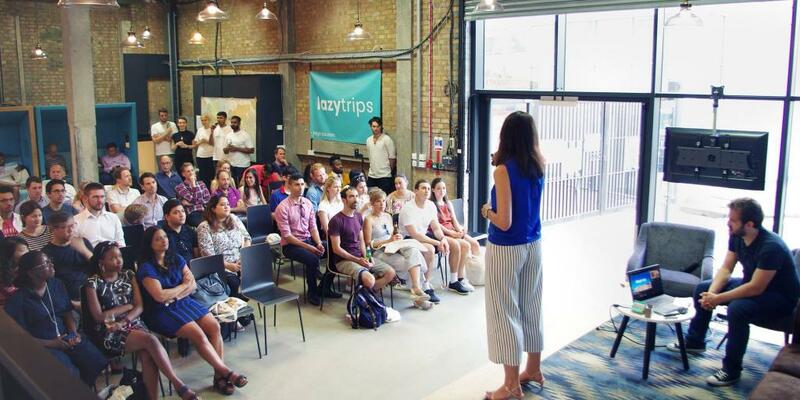 On Thursday 2 August, we held our first ever event to celebrate the launch of LazyTrips, the all-in-one trip planning tool that's taking the travel world by storm. 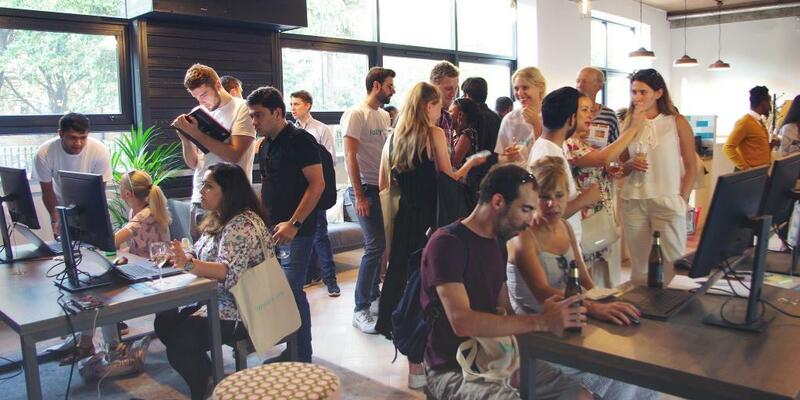 Adventurers, bloggers and travel enthusiasts alike came out to Techspace Shoreditch last Thursday evening for a night to remember at the LazyTrips Launch. Each guest was given a LazyTrips branded tote bag at the door containing a pen, a leaflet about the event, and a battery pack phone charger - perfect for those hours on the road or in a plane without access to a plug! 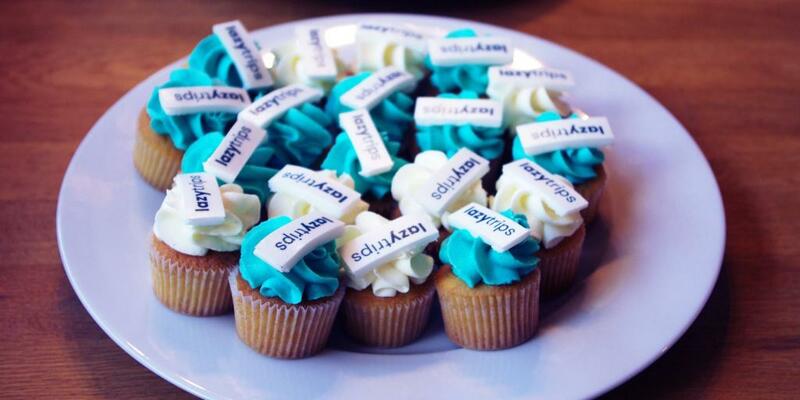 Then with a drink in one hand and a mini cupcake in the other, they mingled and networked with each other and with the LazyTrips team members, chatting away about all things travel. Once the video finished, Jen told the audience: "LazyTrips was built from the aim to transform the online trip planning experience. We believe that it's really important for you to have a seamless and stress-free experience. That's why we promise no pop-ups, no annoying sales, and no pressure. You should be able to think about where you want to go, get inspiration, and make a booking when you feel ready." Sasha then gave a bit of background about the history of LazyTrips and the various road trips and adventures he's been on that originally inspired the concept. He said: “The best planning tool on the market when I first started this, was this", pointing to a slide of Microsoft Excel (causing the audience to giggle in agreement). "This is how I used to plan trips.... until now. Now, we have a platform where planning a trip has never been so easy." He then walked everyone through how LazyTrips works, including its interactive functionalities and super intuitive design. At the end of the presentation, Jen and Sasha surprised the audience with a gift: 20% off of ALL hotel bookings until the end of 2018 for everyone who signed up to LazyTrips before midnight that night! The crowd broke into applause and guests quickly pulled out their phones to register for an account before the deadline. By the way, if you'd like to see the presentation in its entirety you can head over to our Facebook page to watch the FB Live video. Following the talk, the audience were treated to canapes and coffee as they participated in the various travel-themed activities stationed around the room. One station, lovingly nicknamed the Wanderlust Washing Line, involved writing answers to questions about travel on colourful cards and hanging them on a line. 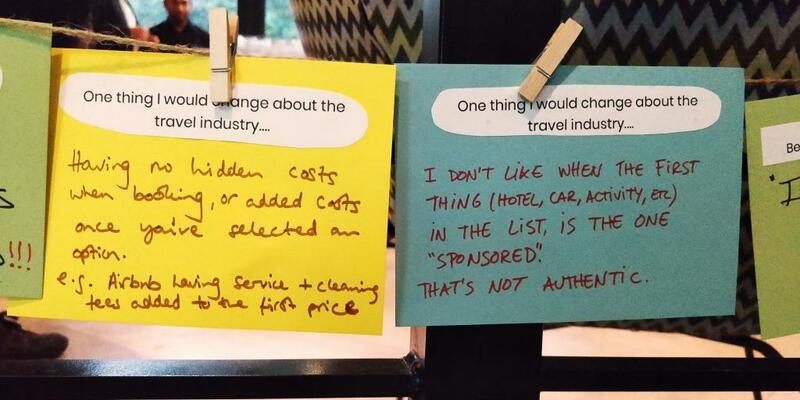 When asked about the most frustrating aspects of planning a trip, many people wrote about the issues of authenticity and hidden costs. They also wrote about the hassle of trying to keep track of everything and managing the many browser tabs involved in planning a trip. 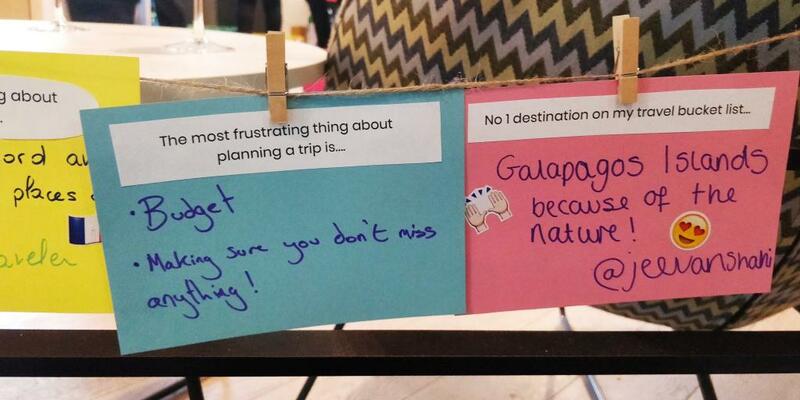 We couldn't agree more... And that's where LazyTrips comes in! When asked for their top foodie destinations, most people pinpointed spots in Italy. No surprise there! And when it came to the best winter break destinations, Switzerland and France were the most popular. For a guide to all things edible in the land that invented pizza, check out our Ultimate Foodie Guide to Italy. Finally, on the upper level of the venue, laptops and monitors were set up so that guests could try out the LazyTrips tool for themselves. 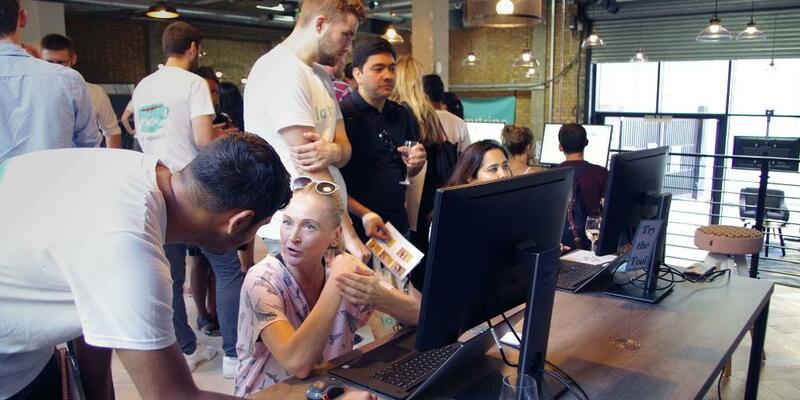 Our friendly team of developers were on hand to provide support and guidance, taking note of all the helpful feedback and questions we received. By the end of the night, everyone was satisfied, their bellies full of canapes, cupcakes and drinks and their brains filled with travel inspiration. 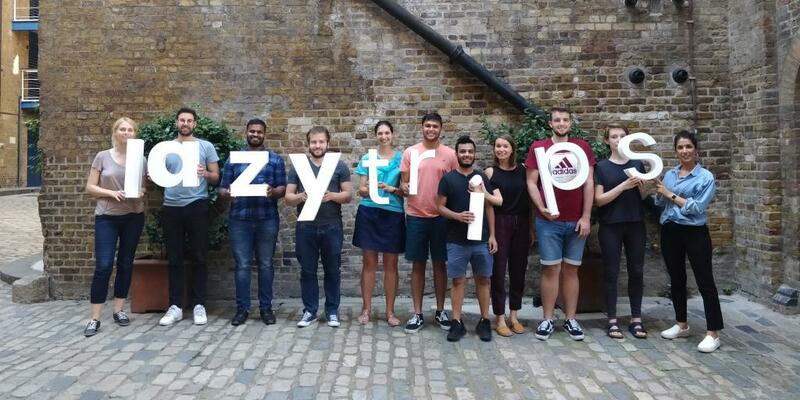 We made many new friends, got lots of fantastic feedback and gained new insight into how LazyTrips is transforming the trip-planning experience forever. Thank you to everyone who attended; we can't wait to see you at our next event!